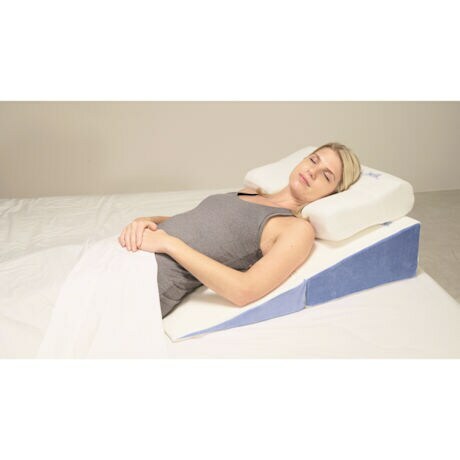 The Contour® Folding Wedge helps to support the spine, relieve muscle tension, relax breathing and sinus pressure, and aid digestion as you sleep. 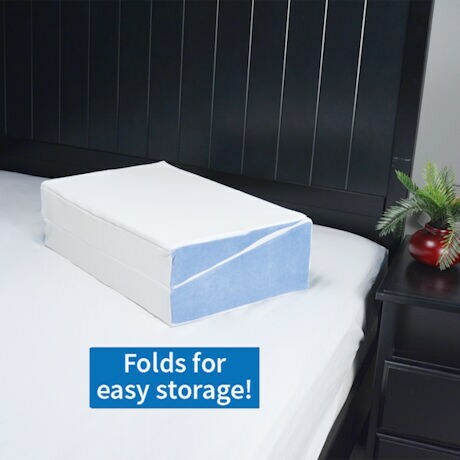 Foldable design tucks away easily when not in use. Soft velour cover is removable and washing machine safe, so upkeep is a breeze! 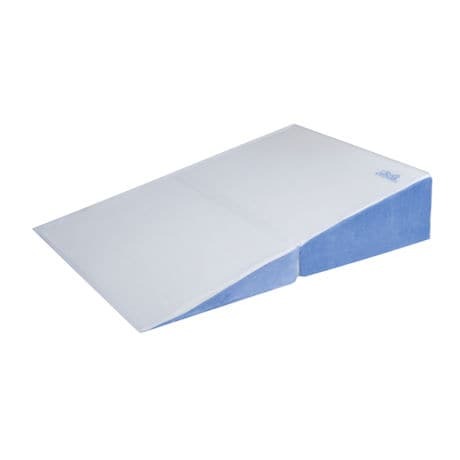 Choose among three gradual inclines with maximum heights either of 7", 10" or 12". Available in tan. 24" x 24" × 7"-10"-12". USA.